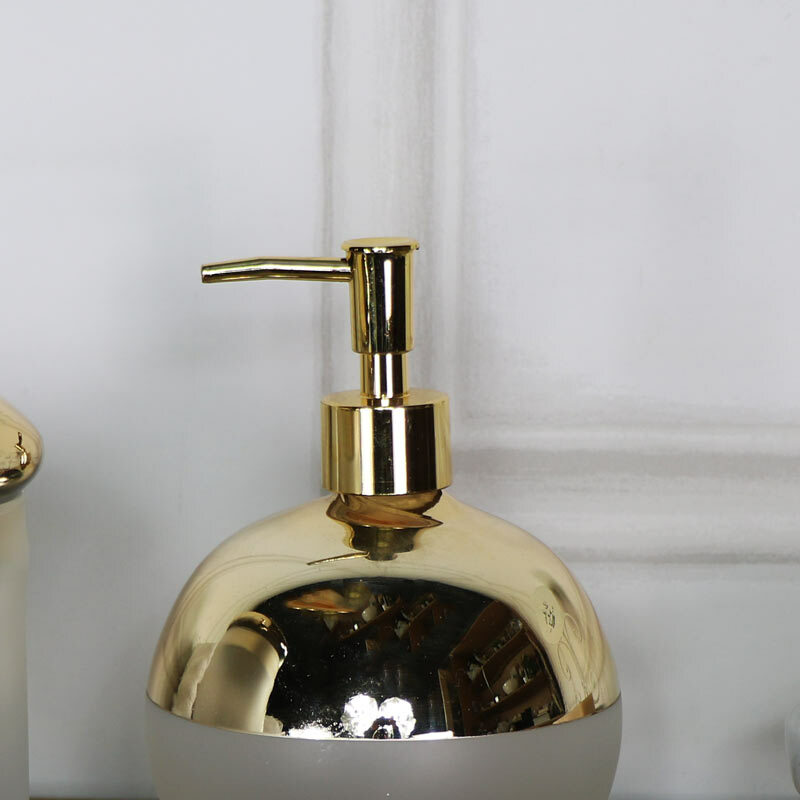 Keep your hands squeaky clean in glamorous style with this pretty gold and frosted glass soap dispenser. Perfect for the bathroom or kitchen. Sleek and stylish and just what you need for holding your liquid soap. Polished gold top and dispenser with frosted glass bottom. Keep close to hand on your kitchen side of bathroom sink. 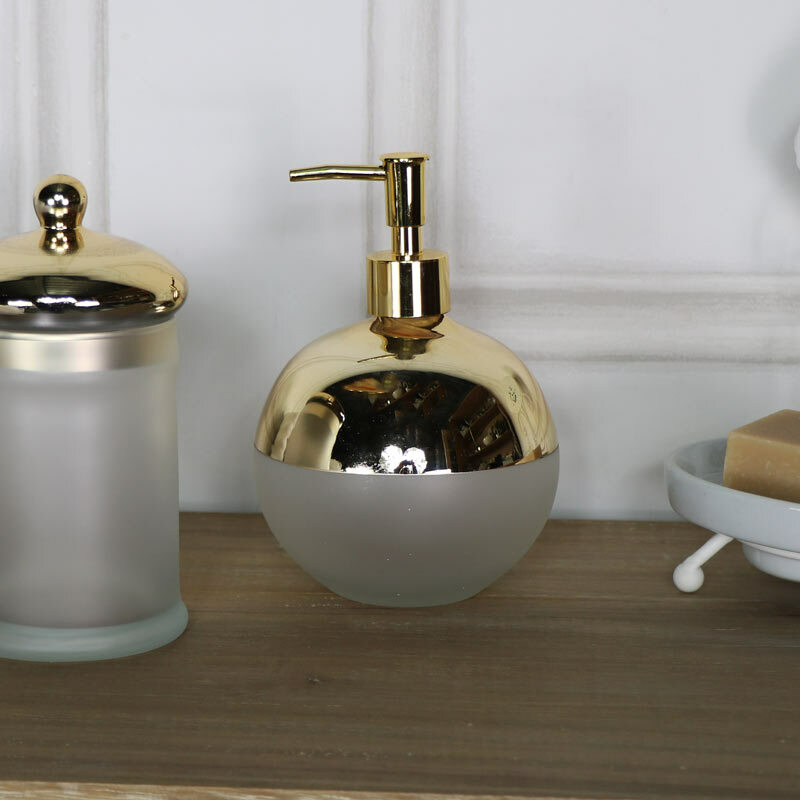 Keep your hands squeaky clean in glamorous style with this pretty gold and frosted glass soap dispenser. Perfect for the bathroom or kitchen. Sleek and stylish and just what you need for holding your liquid soap. Polished gold top and dispenser with frosted glass bottom. Keep close to hand on your kitchen side of bathroom sink. Frosted glass and plastic top and pump dispenser in a polished gold finish. A great addition to our fantastic range of gifts and home accessories.